This is a rectangular Pacific Electric Motor Transport Service porcelain sign. 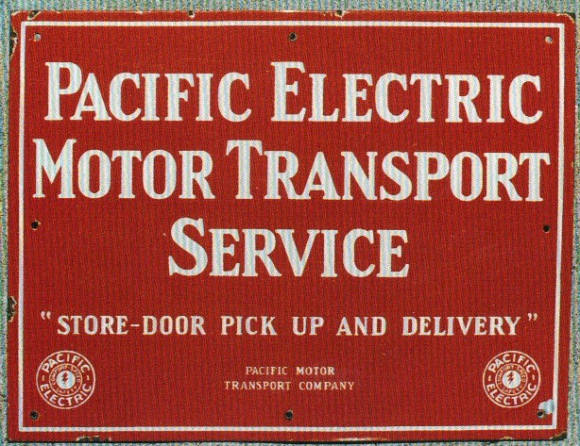 This particular Pacific Electric Motor Transport Service sign is red with white text. It reads, “Pacific Electric Motor Transport Service, Store-Door Pick Up and Delivery, Pacific Motor Transport Company” and features two Pacific Electric emblems in the lower corners of the sign.